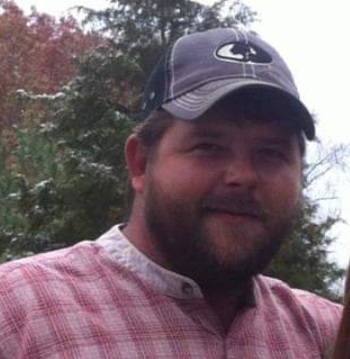 Charles Matthew White, 37 of Morgantown, KY passed away Saturday January 19, 2019 at the Medical Center in Bowling Green, KY. Matthew was born August 26, 1981 in Grayson County, KY to Charles Dale and Janice Denneese Embry White. He was a member of White Ridge Church and worked at Scotty's Contracting & Stone in Bowling Green, KY working with the paving crew. He loved having cookout and being with family. Matthew loved his mamaw and loved all his nieces and nephews and great nieces and nephews. He is preceded in death by one daughter Alison White; mamaw and papaw Harrison and Marie White; papaw Cecil Embry and uncle Tony Embry. Charles Matthew White is survived by two daughters Kristen Marie Ann White of Morgantown, KY and Amelia Faith White of Grayson County, KY; mother and father Charles and Janice White of Morgantown, KY; three sisters Angie Flener (Dwaine) of Morgantown, KY, Charlene Willis (James) of Gilstrap, KY and Karri West (Matt) of Morgantown, KY; mamaw Zelda Embry of Grayson County, KY; special friend Tonya King of Grayson County, KY and several nieces and nephews.